As an executive at Egg Plc Dominic Keen had the vision for Banking to be available to consumers on their Mobile, which may seem a common paradigm now but at the time was something quite revolutionary. Even more remarkable considering the iPhone didn't even exist at this time. We began working with Dominic and his recently co-founded company, MoBank Ltd to research and develop a prototype to demonstrate this on Java based devices. We developed a complete backend system with huge effort and resources allocated to devising secure logins, communication and transaction capabilities. We also developed a platform to allow the integration of products from 3rd party commerce sites including Books, Flowers, Cinemas, Flights and much more. Users not only had the ability to view their transactions across their various Bank Accounts, but could also, with a few clicks, purchase flowers from Interflora or book a flight. 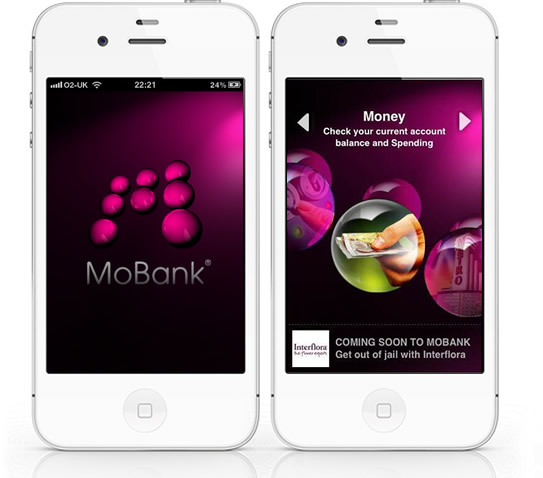 With the release of the iPhone App Store we developed the MoBank App as our first Native Mobile App project on the iOS platform! 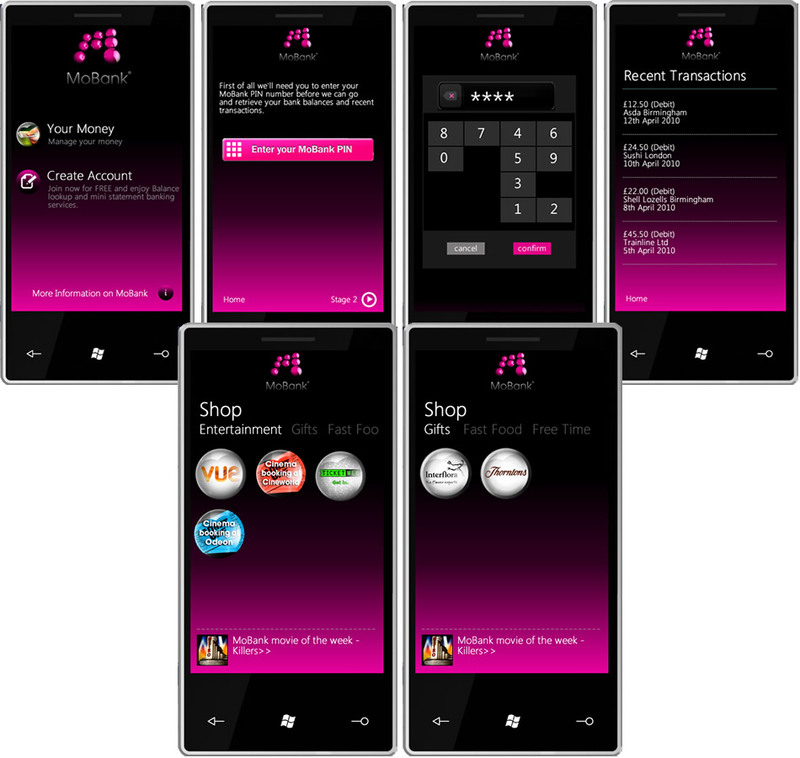 The Windows Phone 7 Port. Have a project for us ? Get in touch and let's make the magic happen.